Innovations in mobile and wearable technology have helped improve modern lives in countless and varied ways – but it isn’t all about being able to check Twitter from your watch. 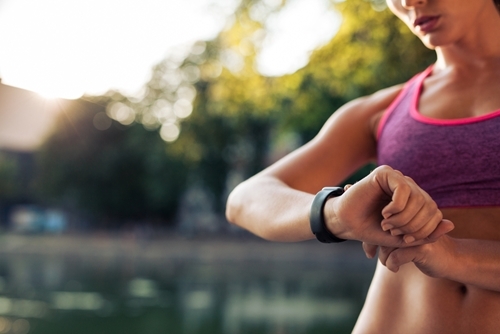 Fitness and wellness training are two of the biggest areas where wearables have taken off. Whether your goal is weight loss, cardio or strength and endurance training, wearables allow you to better measure results and gauge your body’s response to a workout. 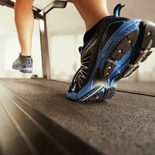 This can be as simple as measuring how many steps you’ve taken in a day, estimating how many calories you have consumed or burned or – as is the case here at Steel Fitness Riverport – heart rate monitors that are integrated with our facilities, providing you and your personal trainer with a variety of analytics to better customize your workout. It can be hard work getting the fitness results you are looking for. Even the most sophisticated wearables sometimes fall short of making people want to work out. That’s where gamification comes in. Games like Dance Dance Revolution and the Wii Fit have for years been pushing people to embrace physical activity, and wearables have now picked up the torch. Apps like Zombies, Run! turn your workout into a fun, satisfying game and quickly became the world’s best-selling fitness app, with over 2 million downloads to date. Finally, the social aspect of wearables can’t be ignored. By being able to share the results of your workout with friends and followers, you can not only boast about your gains, but create much needed accountability to keep you pushing harder. Of course, wearables aren’t the be all, end all of fitness and training – they are simply a piece of the greater picture. Combined with expert personal training, team exercises and state of the art facilities, wearables are part of the toolbox to help people on the path to greater health and building strength. Curious to see what you can do with wearable fitness technology? Come down to Steel Fitness Riverport to learn more.